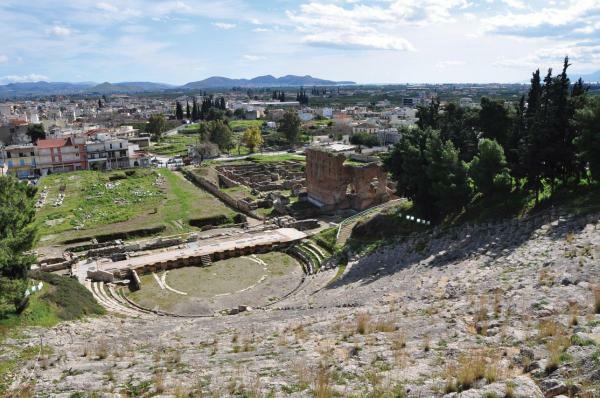 It is situated southwest of the Larissa Acropolis and was built by Polykleitos in the late 5th cent. BC. It is a big architectural accomplishment, since it is one third carved into the rock. In its prime it could seat up to 20.000 people. It is considered the largest theatre of ancient Greece. It was the venue of musical and theatrical contests, but also of sittings of the Achaean League (Confederation). It was also the place where the Fourth National Assembly sat centuries later.